Balad Air Base in Iraq was allegedly the site of toxic burn pits that caused dangerous side effects in soldiers' health. The Pentagon exposed troops to dangerous toxic waste in Iraq - then attempted to cover up the effects on the soldiers' health, a newly leaked document claims. Soldiers at Iraq's Balad Air Base in 2006 were exposed to burning garbage that could have had destructive health risks - a danger the Pentagon was well aware of when it allowed the burns to occur, the Air Force memo alleges. Companies contracted to clean up war zones often incinerate garbage in "burn pits." The Balad burn pit, about 70 kilometers north of Baghdad, was operated by KBR, a former affiliate of Halliburton, The Raw Story reports. The burn pit base was "the worst environmental site" a U.S. Army Center for Health Promotion and Preventative Medicine investigator had seen in his ten years of Army service, the investigator wrote in the memo, released on WikiLeaks Tuesday. The December memo explicitly laid out the potential detrimental health effects the burn sites had - but the Pentagon continued to issue later reports that negative side effects of the garbage burns would be "low." "In my professional opinion, there is an acute health hazard for individuals," Lt. Col Darrin Curtis, a Bioenvironmental Engineering Flight Commander, wrote in the memo. "There is also the possibility for chronic health hazards associated with the smoke, thus the information is being made a permanent part of each Airman's medical record." Despite scientific evidence and expert testimony that the burn pits could cause extreme health risks, the Pentagon issued a "Just the Facts" sheet last December that claimed the effects would be negligible. "Based on U.S. Environmental Protection Agency guidance, long-term health effects are not expected to occur from breathing the smoke," the sheet read. 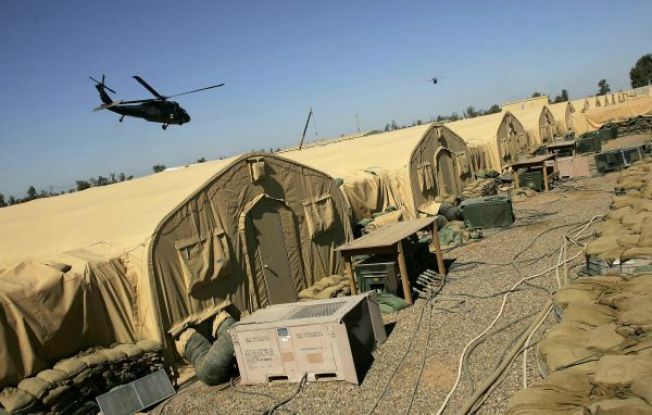 Soldiers stationed at the site experienced sickness as a result of the toxic smoke, an Army Times investigation revealed in 2008. More than 100 soldiers who served at the Balad base said they suffered from chronic bronchitis, allergic reactions or heart problems.